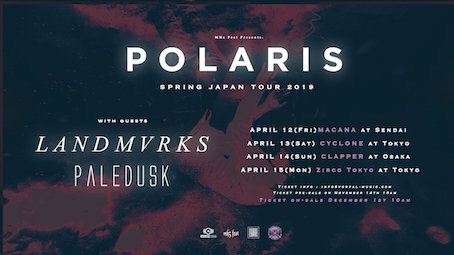 NEW DISC REVIEW + INTERVIEW 【POLARIS : THE MORTAL COIL】JAPAN TOUR 2019 SPECIAL !! 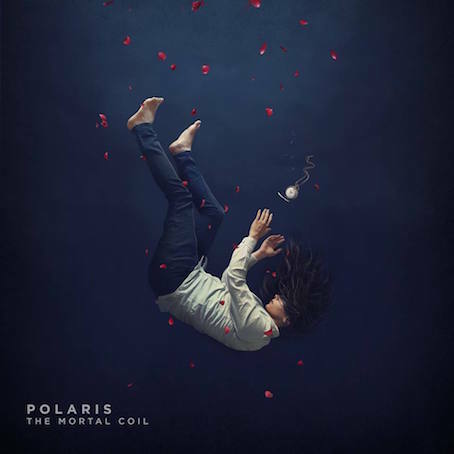 EXCLUSIVE: INTERVIEW WITH RICK SCHNEIDER OF POLARIS !! Q1: This is the first interview with you. So, at first, could you tell us about yourself and your band? 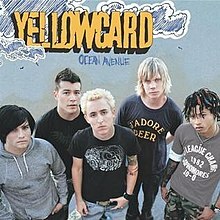 What kind of music were you listening to, when you were growing up? 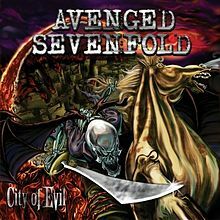 【RICK】: I grew up listening to a few different genres, but in my early teen years I began getting into metal/metalcore by hearing bands like Bullet for my Valentine and Avenged Sevenfold. I slowly moved to listening to heavier bands like August Burns Red and our hometown heroes Parkway Drive. I guess it was this transition into heavier listening that made me want to start playing in a metalcore band. Attending a show became one of the things I looked forward to most, and I actually met Daniel and Jake at a local show only about 10 minutes from my house. Q2: It seems the history of Polaris started from high school, right? How did the band come to be? 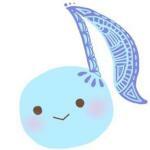 【RICK】: That’s right! As I said above I met Daniel and Jake at a local show, though they had conceptually started the band years before that. Both of them had gone through high school and had many different members trying to form a full lineup, but nobody stuck around in the long term. We met each other in 2011 and by mid 2012 we had a full lineup with Jamie, Jake’s brother Matt on bass (Jake was playing guitar at the time) and at the time a synth player named James. Over the next 12 months we released a single and the members shuffled around a lot, ending up with no synth player and Ryan on guitar with Jake moving to bass. Since then we’ve remained the exact same! Q3: Basically, Polaris isn’t able to be seen in Australia. But what made you choose the star for your band name? 【RICK】: Getting a band name was a very difficult process, and we went through hundreds of potential names before finally landing on the name Polaris. It was Daniel that suggested it, and it was the first name that everyone didn’t immediately shut down. After a few days we decided to stick with it, knowing it would be near impossible to find something else that we could all agree on. 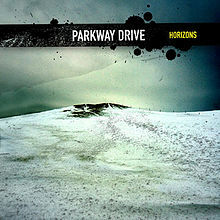 Q4: You are Australian, so touring with Parkway Drive seemed to be big event for you, right? 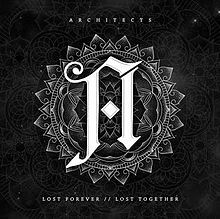 Also, touring with Architects brought you next stage, Do you agree that? 【RICK】: I think Parkway Drive was one of the most important bands to all of us growing up, as I said they’re one of the bands that personally contributed to me wanting to be in a metalcore band. To be able to tour with them let alone on their Horizons anniversary tour was something that made us all feel very grateful and fortunate for the opportunities we’ve been given. It was our best support tour that we have done in Australia without a doubt, and when we went to America with them it was arguably even more amazing. Architects in Europe/UK was another thing entirely – the venues and arenas we played were gigantic, and we’ll be lucky if we can every play in them again. It’s a dream to be playing your music in front of thousands of people, and while we’re at the stage where we can headline shows in Australia and play to many, Architects gave us a much bigger taste when they brought us over to Europe. Q5: Your first full-length “The Mortal Coil” was incredible! Actually, I really love your melodic clean part, and the contrast between beauty and heaviness is outstanding. What’s your vision about creative process, and contrast? 【RICK】: I feel like contrast is very understated in heavy music, but I consider it one of the most important things when approaching songwriting. Something I like to say is that a heavy part is only heavy if the rest of the song is contrasting it, and different. Obviously there are examples of songs that are heavy the whole way through and they’re still great for it, but I feel like we work best when our songs contrast the light and the heavy. I think our overall creative process is making sure that each song has enough “moments” to sustain pace or interest through to the end. Beyond that, we don’t like to set too many limitations, and instead just see where the ideas take us. Q6: Actually, there was horrible terrorism in New Zealand yesterday. So, I listened to “The Mortal Coil” and became really emotional. Actually, it’s definitely emotional record. What’s your inspiration about the music and lyrics? 【RICK】: Daniel writes most of the lyrics and the rest of us help to put little finishing touches, but almost all of the concepts and ideas start with him. I think he prefers to write from an emotional and personal point of view compared to telling a story or something like that. Most of the inspiration comes from personal struggles or experiences that he has faced, or things that he has observed others go through, and I feel like that approach is something that brings people together in music, and is one of the things that our fans attach to. 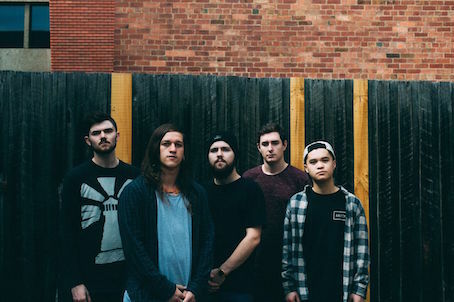 Q7: I think there is a kind of “Rule” like riffage, growl, and breakdown in the Metalcore scene. And bands like Bring Me The Horizon breaks that rule and becomes eclectic. Of course, there are pros and cons to their way. What’s your perspective about the Metalcore manner? Do you want break the rule more? 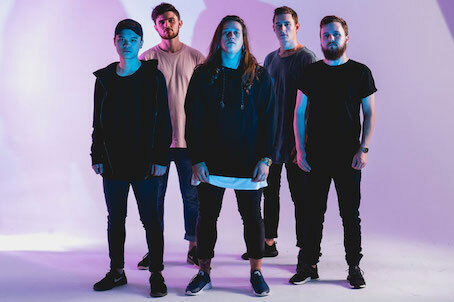 【RICK】: I think metalcore is a genre that is always evolving, and always being spliced with different styles and genres as well. 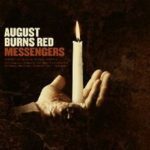 August Burns Red are an example of a band that have only ever released metalcore albums, but each one has twists and turns that you wouldn’t expect to hear on the album prior. 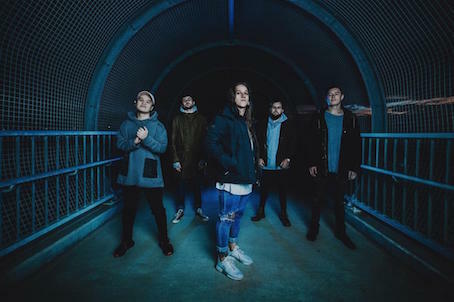 Bring Me The Horizon are similar, but I think it’s fair to say that they have all but left the metalcore tag behind and are now much more in the “Rock” field, but that’s not to say that they don’t have heavy moments. 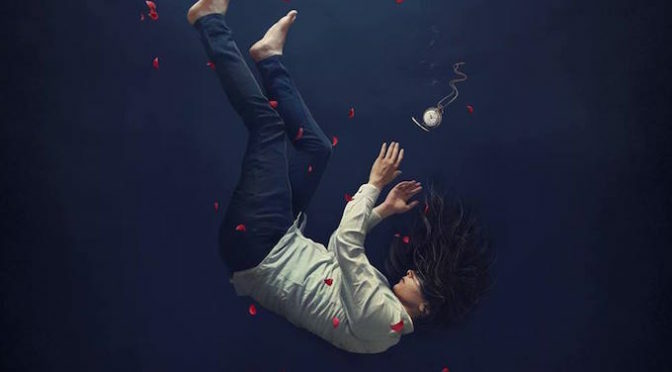 I’m all for genres changing and for bands to do more within a genre, I feel like that is what makes bands stand out and what makes newer releases more memorable in the end. 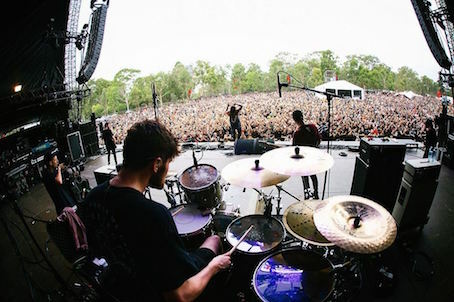 Q8: Recently, Like Plini, Karnivool, Ne Obliviscaris, lot’s of great bands are emerged from Australia in Metal and Prog territory. Are you acquainted with them? Why do you think lot’s of modern Australian bands including you gather attention from the world? 【RICK】: The only band (person) I’ve been able to get to know in that list is Plini, but he is an absolute legend. We did a tour with him and Intervals back in 2016, and while it was a very short tour, it was incredibly nice to get to know both of those bands. I’ve always respected and loved many instrumental/prog artists and even though I’ve grown out of listening to many of them, I still listen to Plini quite regularly and look back on our shows together very fondly. We cannot wait to go, and I have been looking forward to this for sooo long! Any friends that have travelled to Japan in the past have had amazing stories and things to tell me, so I’ve always wanted to go there myself. I can’t wait to experience the culture, the food, and maybe go to a karaoke bar or 2 – but most of all I can’t wait for the shows! We hope that people over there are just as excited to see us, because we would all love to come back to Japan as much as possible in the future. It might be a shorter trip compared to the USA or Europe, but I’m just as excited to get over there, if not more! Thank you!